During the coldest season of the year, one thing can help fend off the wintry chill: the warmth of someone’s love. Perhaps this is why Valentine’s Day is such a welcome respite every year, as affectionate hugs and gestures of romance can make you feel all warm and fuzzy inside, lifting your spirits and making it seem like springtime is just around the corner. 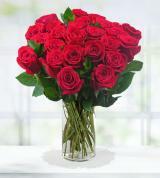 Now is the time to make that someone special in your life feel extra-special, and you can do that with ease when you send Valentine’s Day gifts with Avas Flowers. With our premium floral arrangements, you can show your boyfriend, girlfriend, husband, or wife just how much they mean to you on this special day and every day. 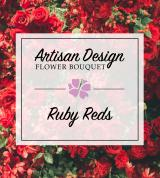 Our flower bouquets are also reasonably priced, but they certainly won’t make you look cheap: Valentine’s Day flowers from Avas Flowers are always made with the freshest blooms, so when you buy a gift online from us, you know that you’ll get the best while paying less. When you need to show that special someone how much you care, you can trust us to help you find a beautiful gift that might even leave them speechless. What type of gift would you like to send? Valentine’s Day gifts are available to suit a wide variety of tastes, so no matter what your sweetheart likes, we can help. 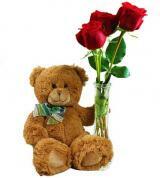 Roses make for a traditional gift, as red roses are a symbol of romance. 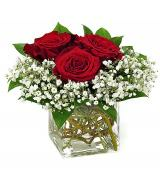 But plenty of other flowers can express love and affection, too: The most important thing is to keep in mind the tastes and preferences of your beloved when selecting a truly thoughtful gift. 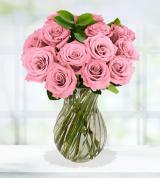 When you give them their favorite type of flower or blooms in their favorite color, they’re sure to be impressed. Some arrangements might even include a cute teddy bear, a bunch of balloons, or a box of delicious gourmet chocolates to add that little extra something. Worried that while your love may be endless, the contents of your wallet aren’t? That’s not a problem: Compared to those of our competitors, our prices are downright cheap. 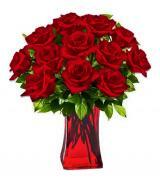 Valentine’s Day flowers from Avas Flowers also can be delivered nationwide, so you can tell someone special that you love them whether they live across town or across the country. And for more than 30 years, our focus has been on customer satisfaction, so we’ll work hard to make sure that your sweetheart is impressed when you send them flowers from Avas. 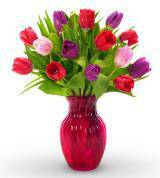 We offer the freshest flowers, prompt delivery, and stellar customer service. In fact, if you’re having trouble deciding exactly what would most impress your beloved this Valentine’s Day, feel free to contact us, either by phone, online, or through our mobile apps: Our floral experts are always on hand to help you select just the right gift for any occasion.